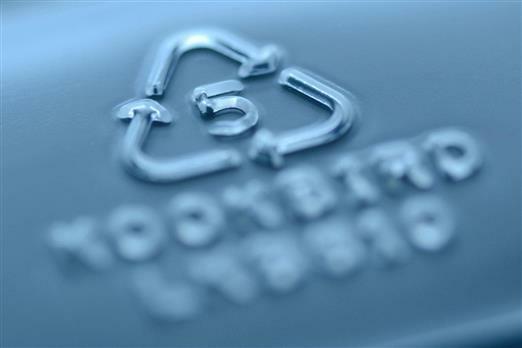 It's a fact that recycling is a key component in reducing global warming. 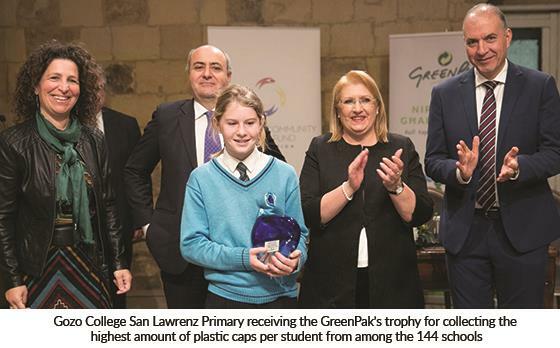 Yet it isn't always acknowledged, which is why our team at GreenPak wanted to continue raising awareness on the issue. 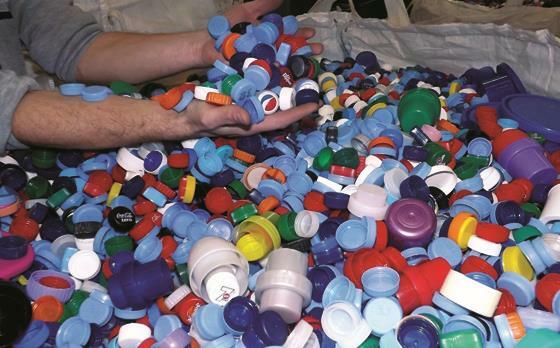 Recycling plastic is important to many individuals and corporations alike. 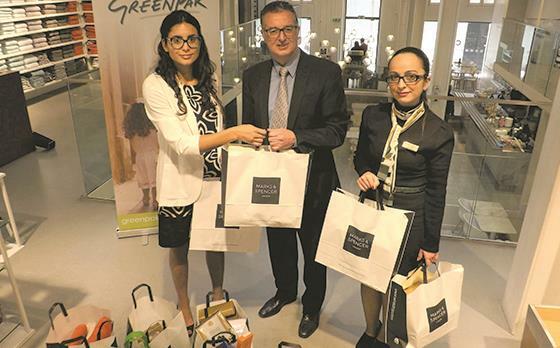 GreenPak’s popular Crush & Win Campaign was further backed up by HSBC. 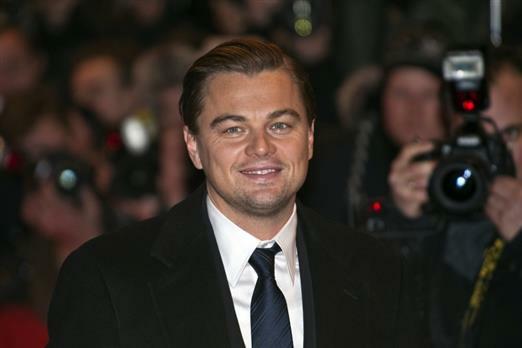 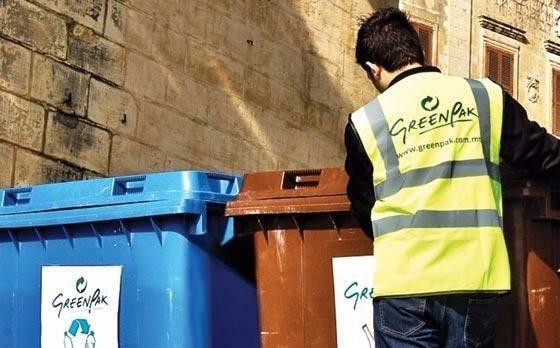 Read this article to find out more about this initiative. 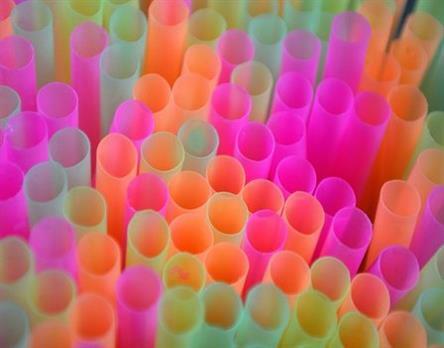 We care deeply about preservation and recycling in Malta, which is why we've listed some noteworthy international campaigns that are planning to or have banned plastic straws already. 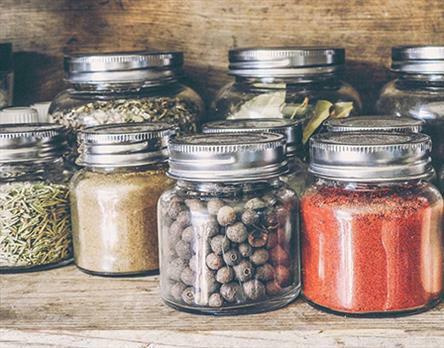 Whatever your latest purchase may be, it's a universal fact that when buying in bulk, you'll be saving money, but more importantly, the environment! 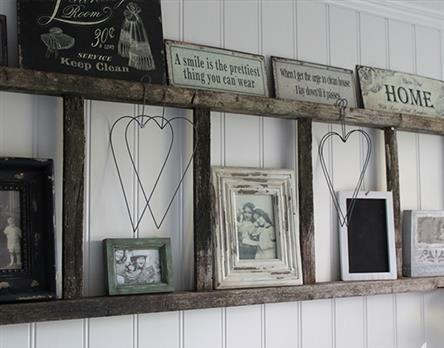 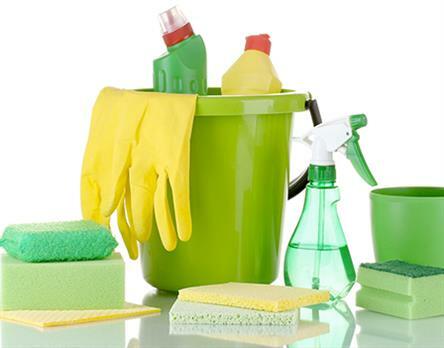 Giving life to used items is not something many think of. 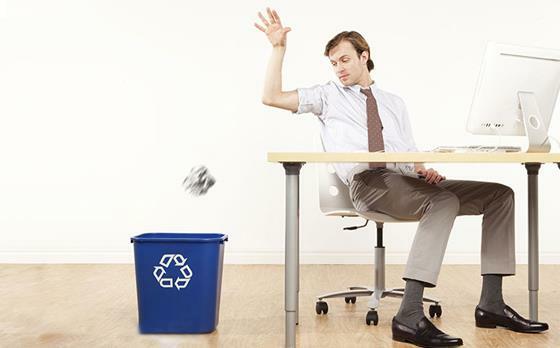 Once an item has reached its expiry date, this usually means it's ready to be thrown away. 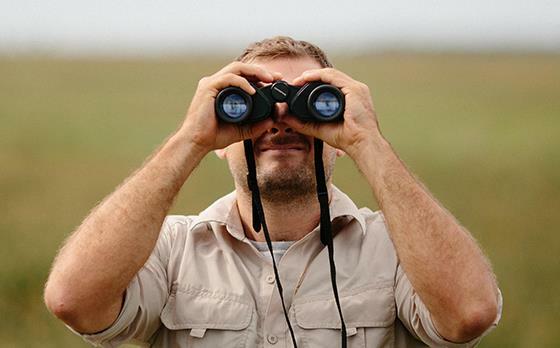 But this doesn't always have to be the case. 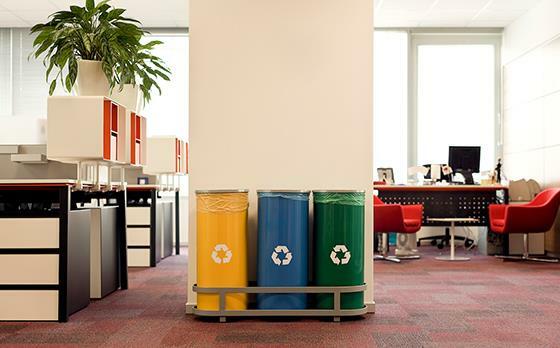 In our previous blog, we spoke about the 3 Golden Rs when recycling our waste. 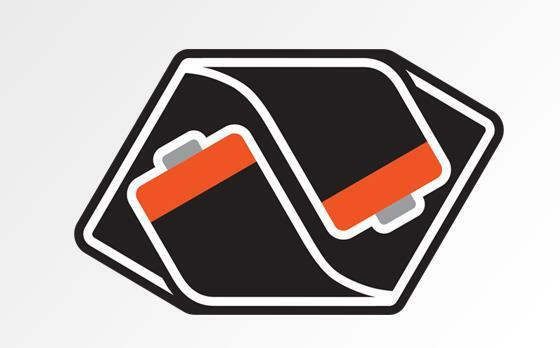 In this article we will be looking at two more, perhaps less common (but equally useful) Rs. 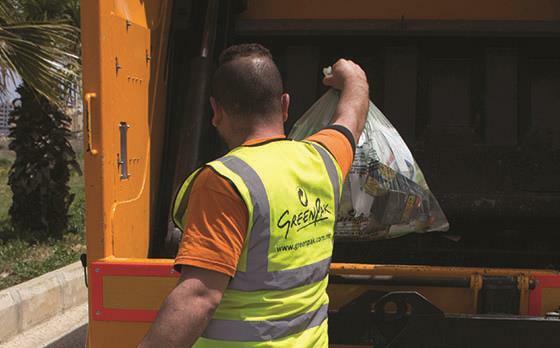 Organisation is key, particularly when it comes to waste management. 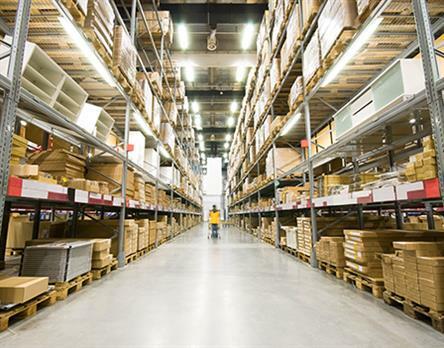 It allows you to manage items you don't need in an orderly way, whilst practising environmental-friendliness in a feasible manner. 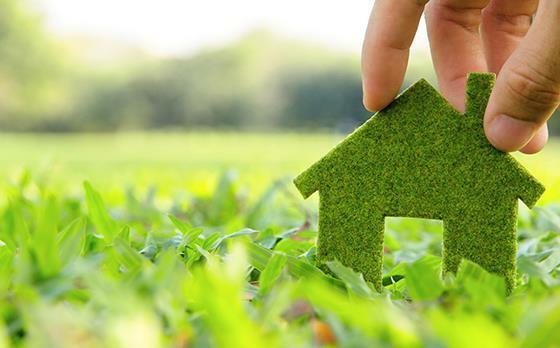 Environmental-friendliness implies having a lifestyle that’s better for you and the environment you live in. 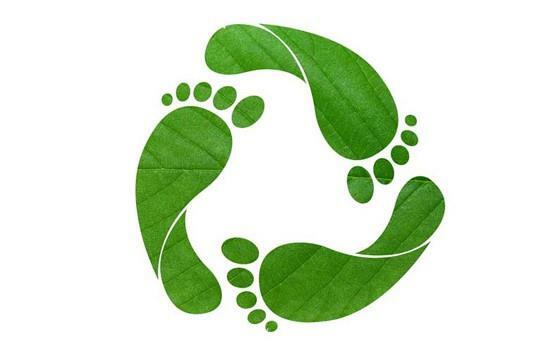 It’s all about taking small steps so as to make this planet a better place. 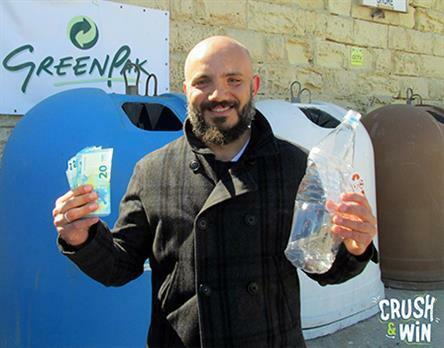 As part of GreenPak’s mission to reduce the excessive amount of plastic irresponsibly dumped into Malta’s streets, landfills and sea, we are offering you the chance of winning €100 daily, with our Crush & Win Campaign! 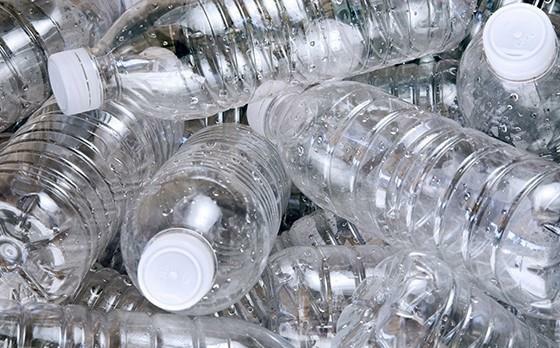 What do the Numbered Triangular Symbols on Plastic Bottles Mean? 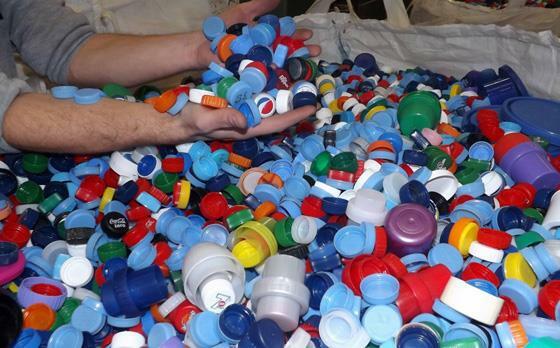 Ever wondered what those symbols on your plastic bottles meant? 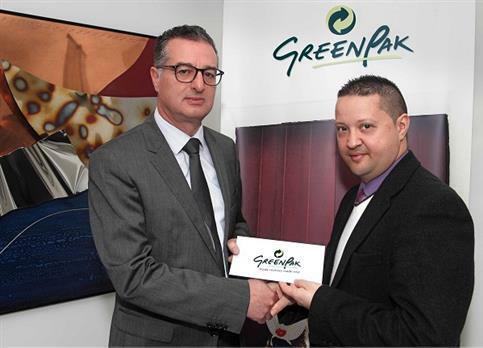 Well, our team at GreenPak have decided to explain! 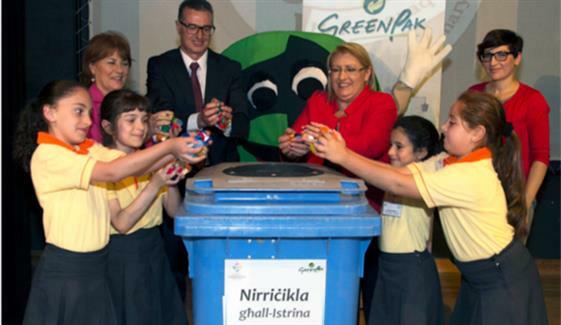 Recycling has been around for ages. 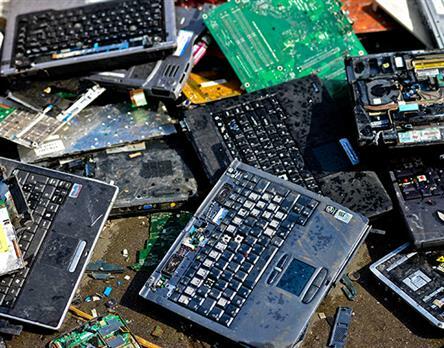 In the past, instead of disposing of one's broken items, people would make an effort to fix them. 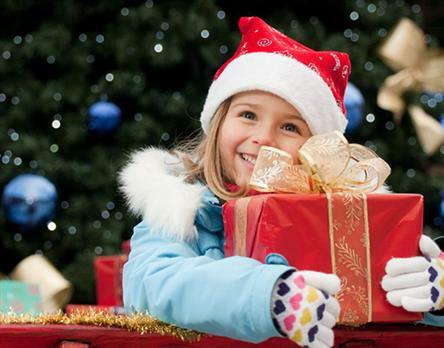 It's the little things that count. 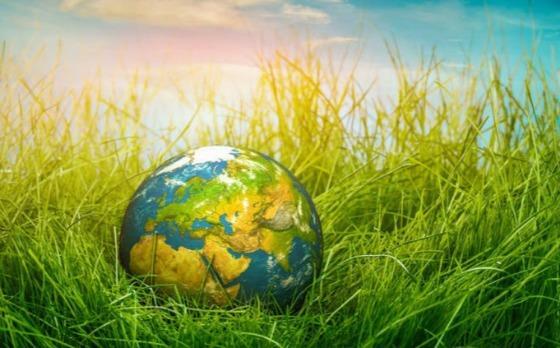 And starting afresh with more eco-friendly habits as part of your daily routine is what helps each and every one of us save our planet in the long run. 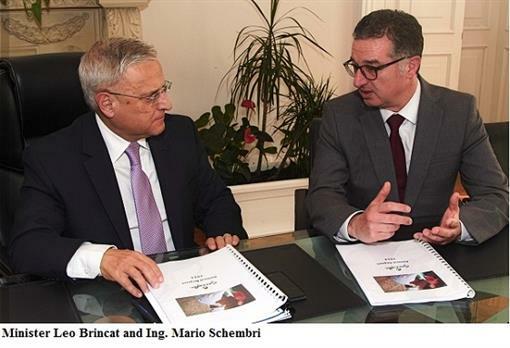 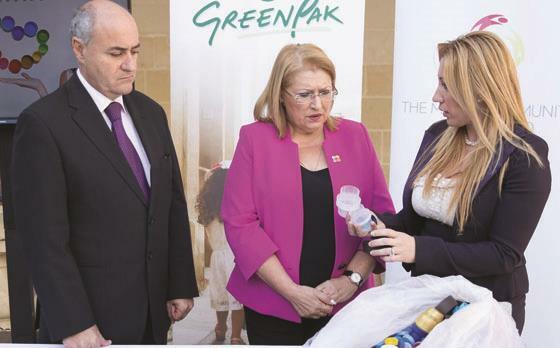 As part of their environmental commitment to operate at the most sustainable level, the two largest beverage firms in Malta are now using GreenPak’s waste recovery systems, which already provides services to over 70% of Malta’s population. 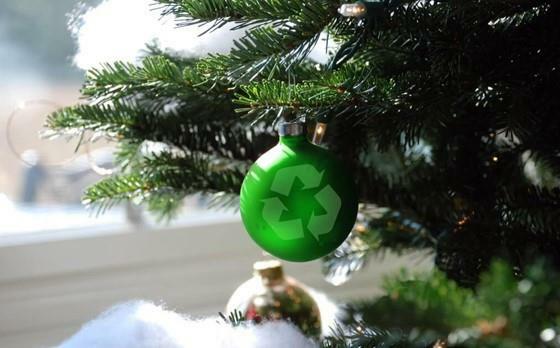 While the festivities bring with them their fair share of celebrations and reasons to be joyful and merry, it's also good to remember our responsibility to be environmentally-friendly. 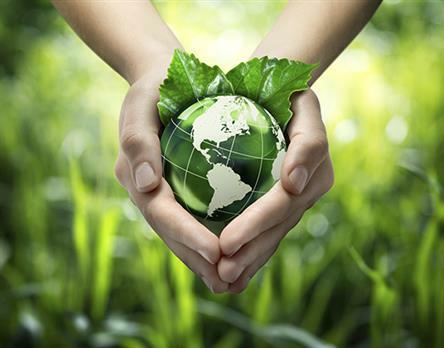 Nowadays, we've all become conscious about our daily habits and their impact on the environment. 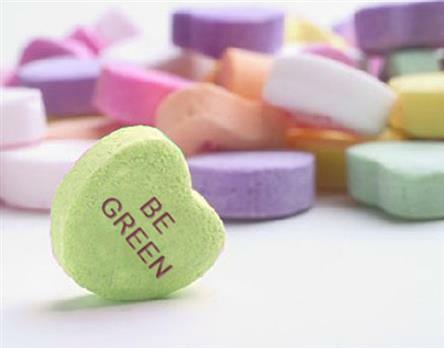 GreenPak has decided to highlight 3 simple and easy ways you can help reduce your negative effect on the environment. 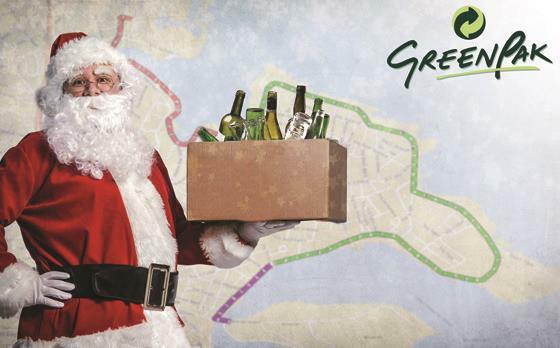 At GreenPak, we're offering you the chance to win €500 with our Crush & Win Campaign! 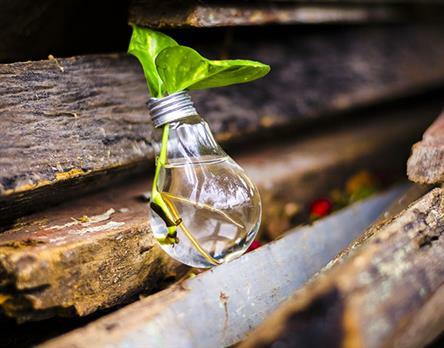 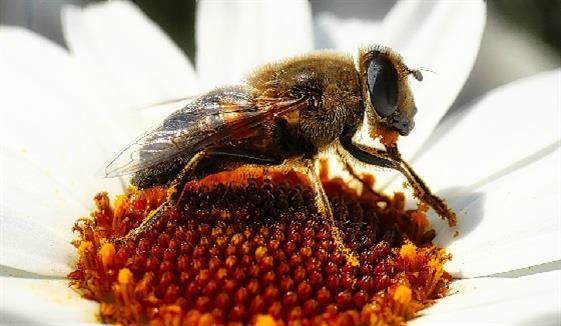 Each and every product purchased comes with a life cycle, with all the stages influencing the fate of post-consumer products. 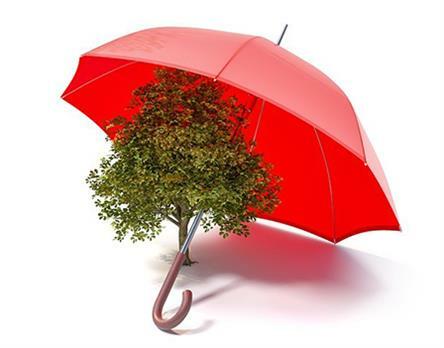 This concept, referred to as Extended Producer Responsibility (EPR). 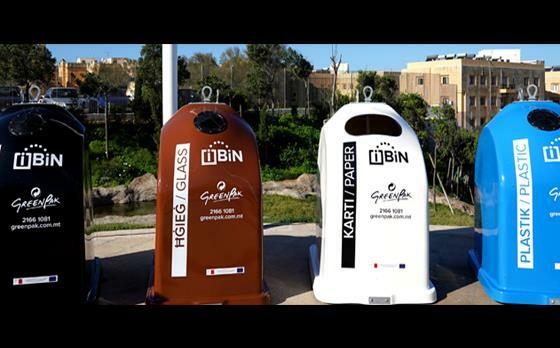 The importance of recycling shouldn't be forgotten. 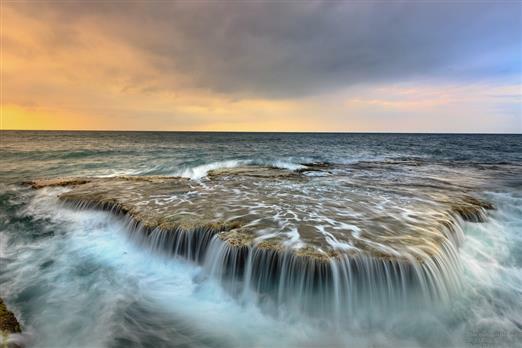 Yet at times we might find it challenging to include it into our daily routine. 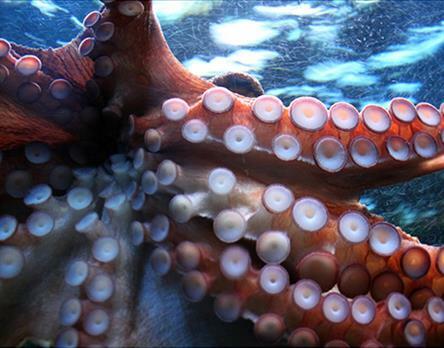 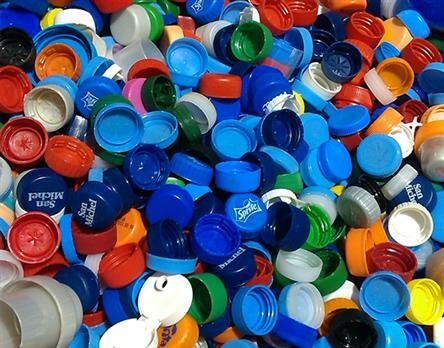 Fortunately we've come up with 5 ways we can improve our recycling practices. 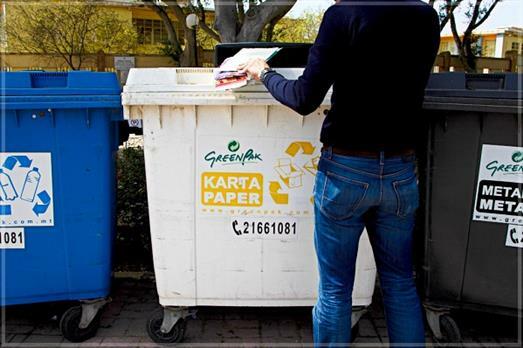 Granted, recycling is a practice we need to start from home, but this by no means implies we cannot implement this eco-friendly habit outside our homes. 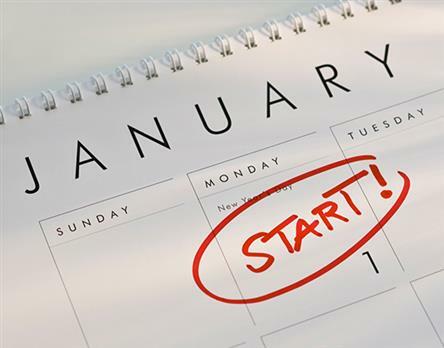 Why not encourage it within the workplace too? 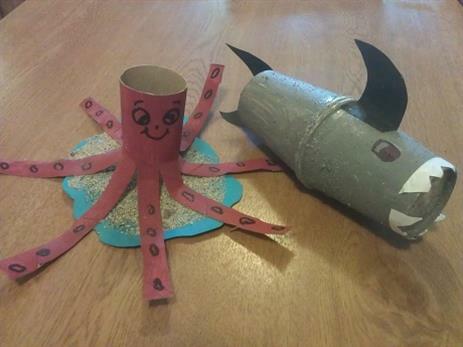 We've already written a number of blogs about how we should and can recycle at home. 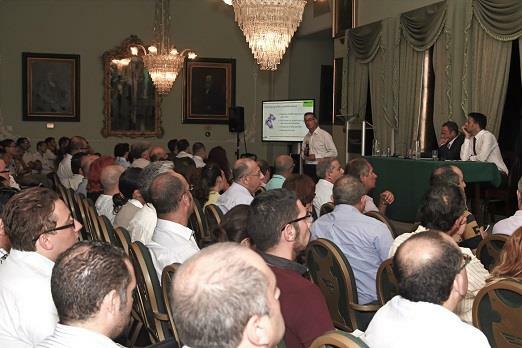 But what about the workplace? 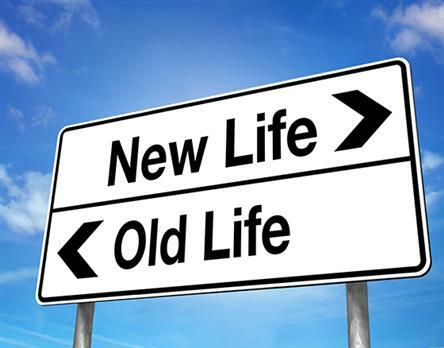 After all this is a locale in which we spend a good portion of our day. 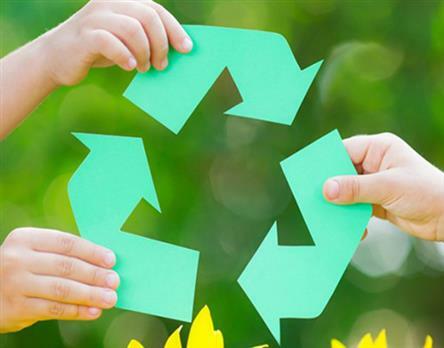 We've all heard about Recycling and its importance. 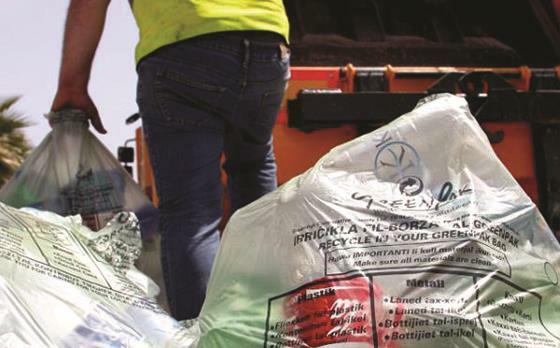 That said, very few of us have heard about or know what goes into the actual process when it comes to the fate of general refuse products. 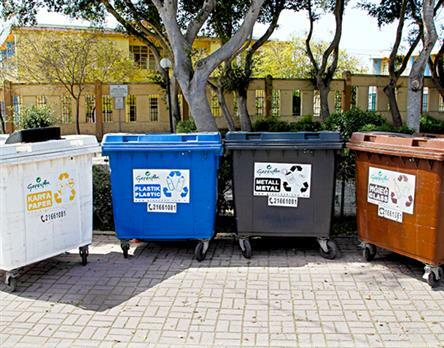 Recycling at home should be something that we include in our lifestyle. 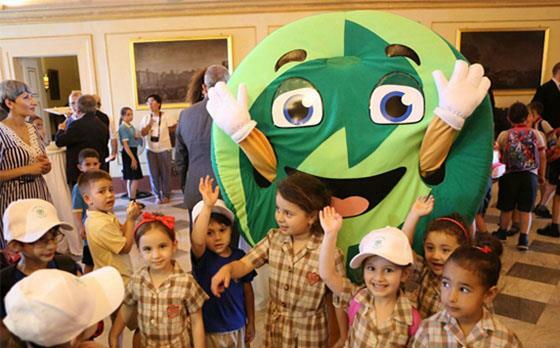 Moreover, we should also make it a point to teach our children to care for the environment by recycling. 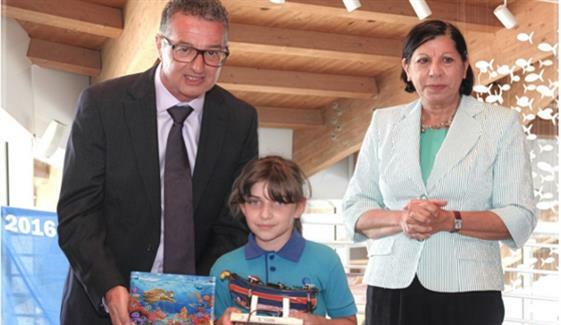 And this should be done from a very young age. 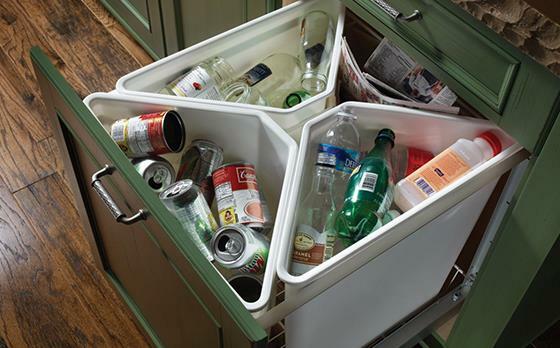 Recycling at home need not be a hassle. 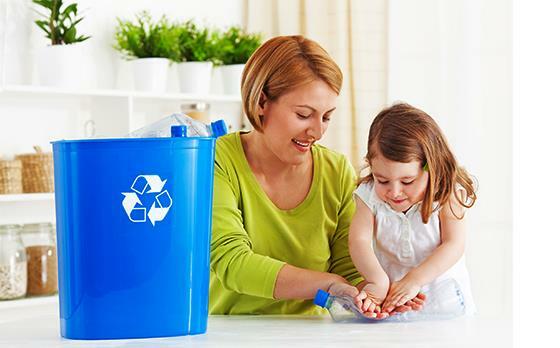 By implementing certain routines within the household, recycling can be something that forms part of your and your family's daily lives. 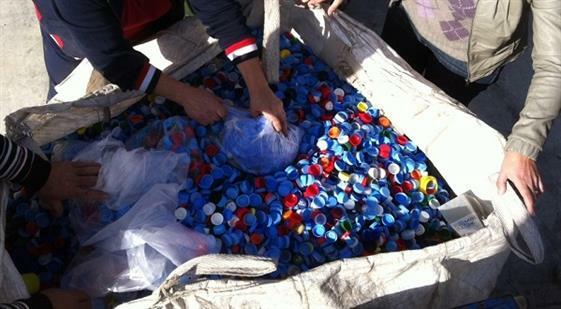 GreenPak Cooperative Society is in favor of increased plastic bottle recycling. 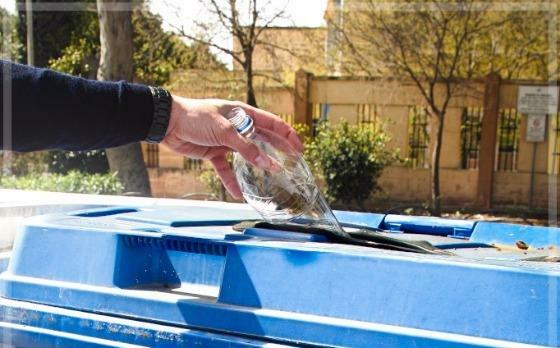 While Deposit Return Systems (DRS) are one possible direction to evaluate, it is has been shown to be ineffective in certain societal and economic contexts. 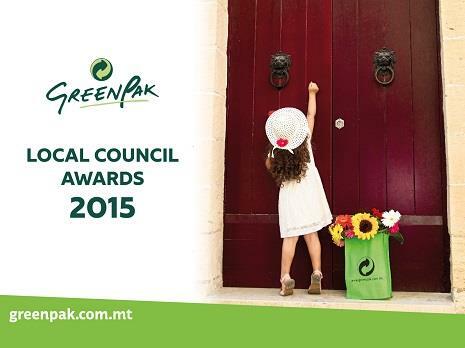 GreenPak always works arduously to ensure that enough awareness is raised to be greener in your everyday life. 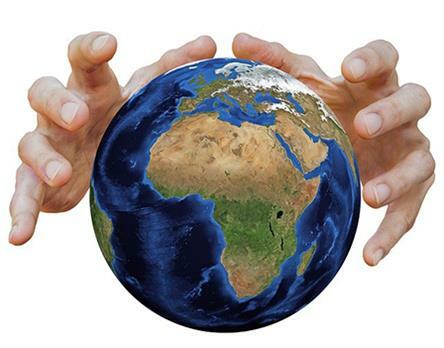 That's why we constantly try to plan events to promote our cause to help conserve the environment. 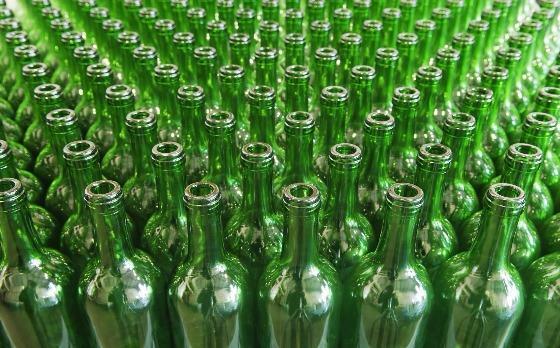 Recycling glass requires a specific process, so it's good to keep certain things in mind to ensure it's being done right. 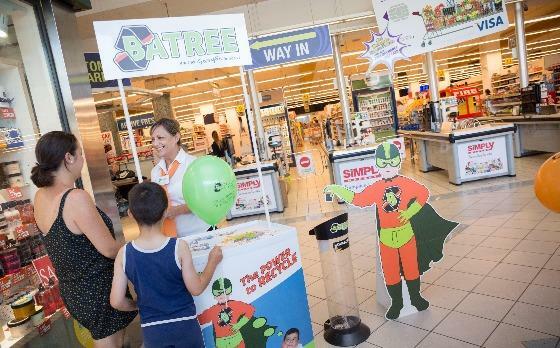 A number of leading supermarkets are now participating in GreenPak’s BATREE campaign to promote the correct disposal of used batteries for recycling. 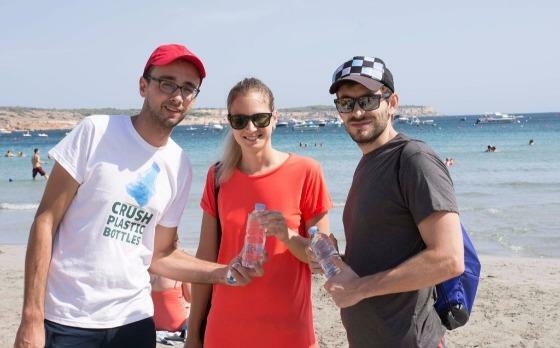 ‘Crush Plastic Bottles’ also at the beach! 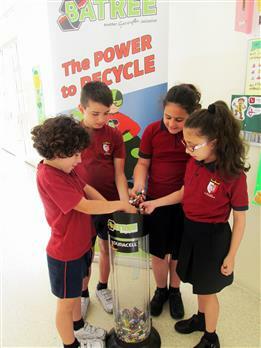 “We need to recycle more and even more. 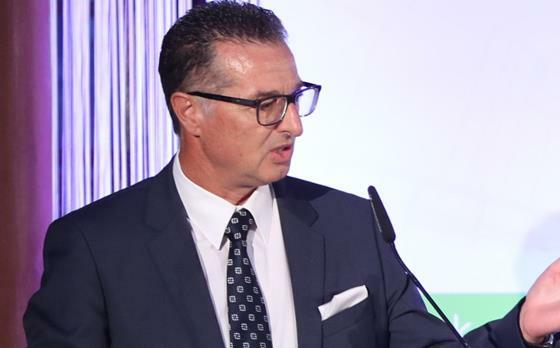 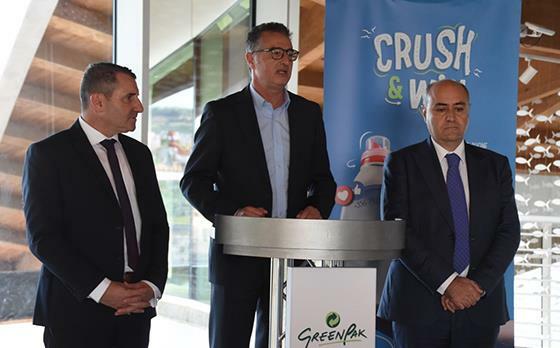 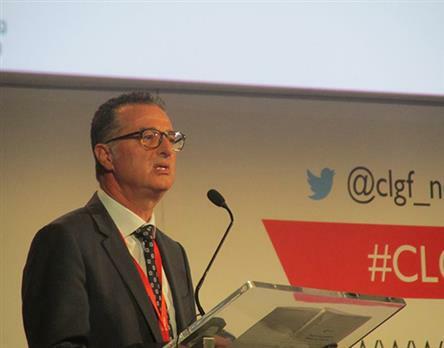 We are urging the public to crush their empty plastic bottles for recycling and stop contributing to plastic waste,” said GreenPak’s CEO Ing Mario Schembri. 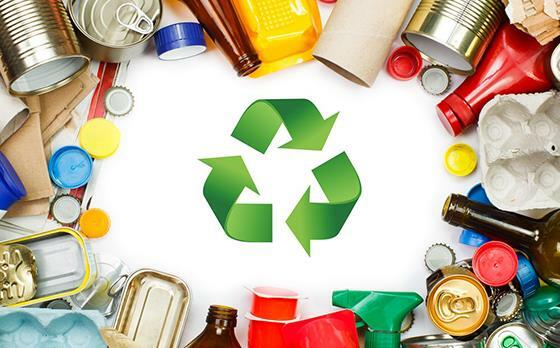 If you are new to recycling, or are unsure about some of the issues involved, or are just wondering whether it is worth all the effort - we've compiled this list of 10 reasons why you should recycle. 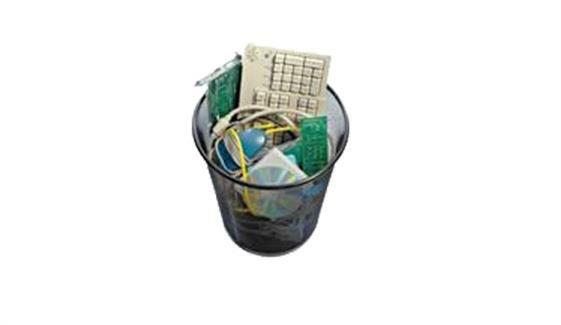 Used batteries which are disposed of incorrectly can cause serious damage to the environment. 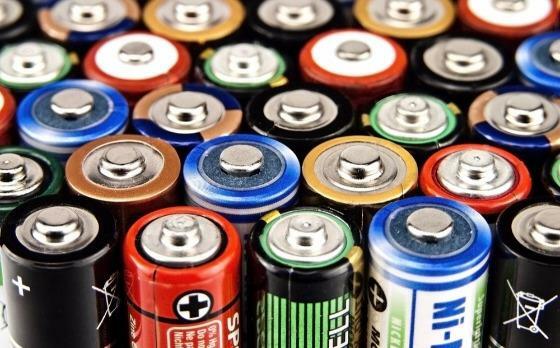 Therefore batteries should be disposed of correctly and safely. 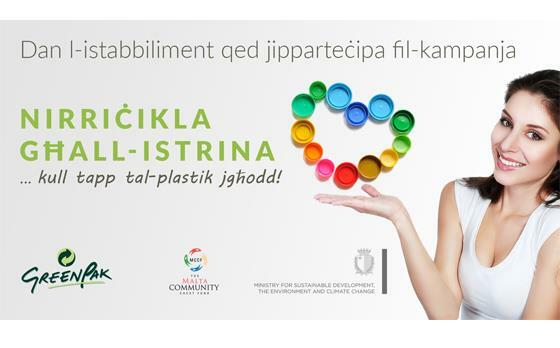 GreenPak Coop Society is asking consumers to crush empty plastic bottles for recycling. 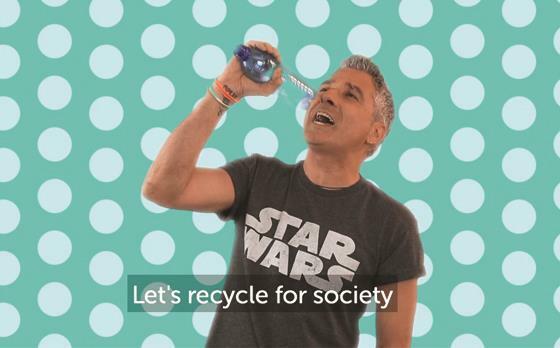 Be a star – crush plastic bottles! 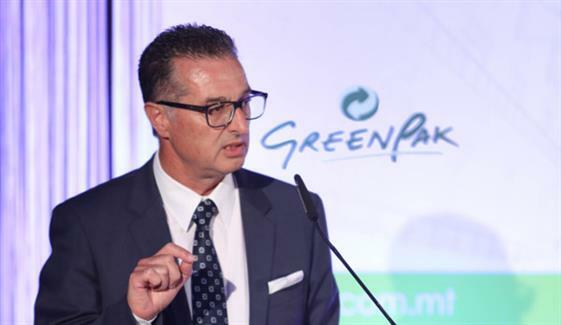 Some of Malta's best known TV personalities have linked up with GreenPak in a campaign aimed at crushing and recycling plastic bottles. 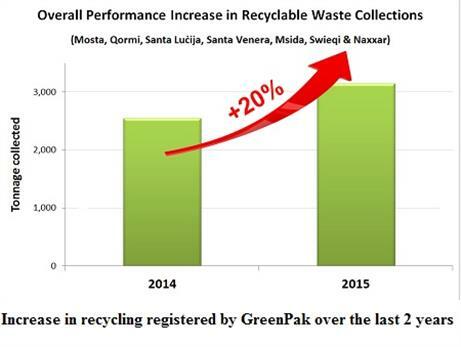 Well-designed recycling programmes generate significant results. 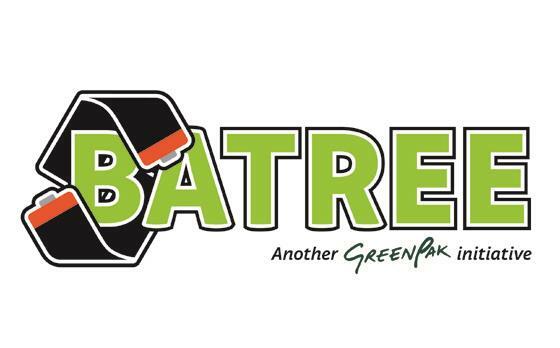 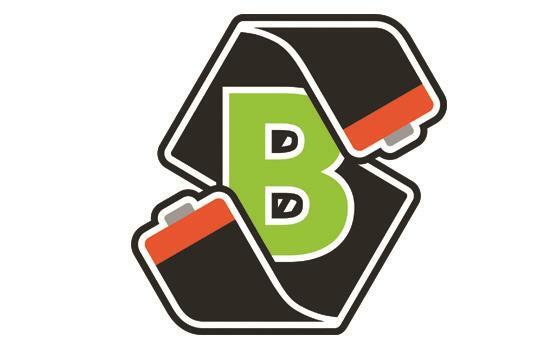 The first collection points for recycling of used batteries as part of a national battery collection campaign called BATREE are now in place. 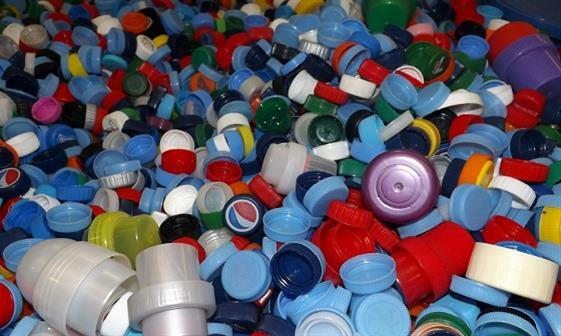 Collecting plastic caps of bottled water, soft drinks, jerry cans, detergent bottles and other plastic tops is a relatively easy way how one can generate more money for l-Istrina 2017. 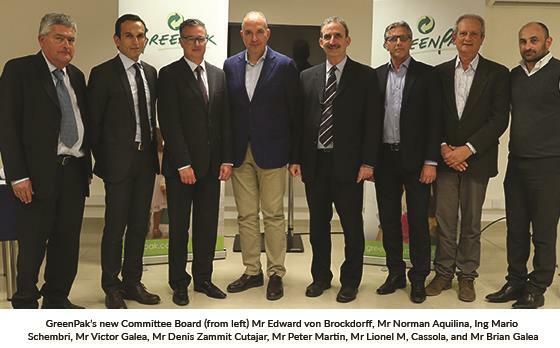 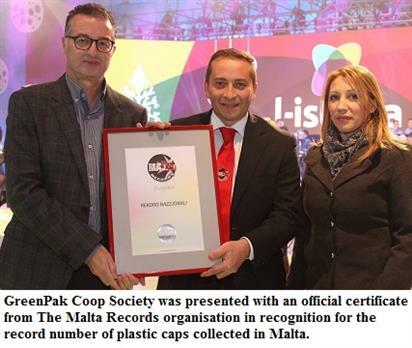 By the end of 2017, GreenPak Coop Society is aiming to reach the EU’s 45% collection target for Malta. 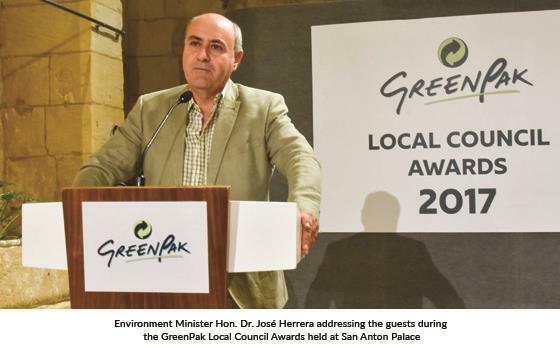 Official figures published last week for 2015 show that GreenPak Cooperative Society was responsible for 74% of all household collections of recyclables waste. 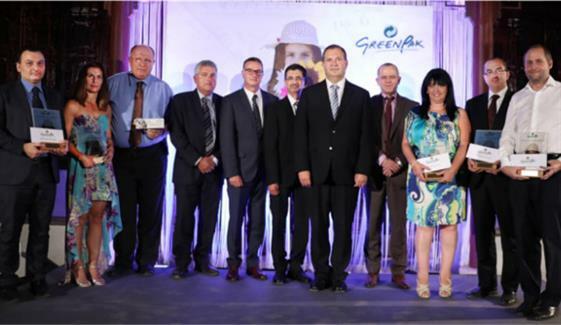 GreenPak Coop Society won first prize in the second edition of the Sustainable Enterprise Awards. 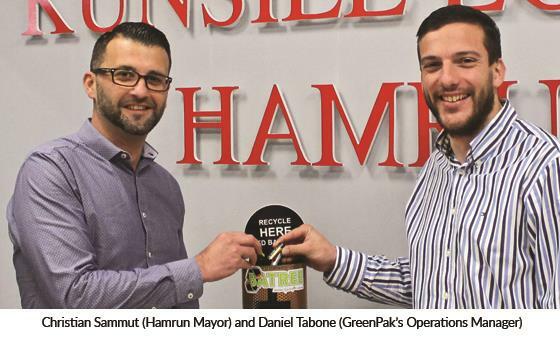 GreenPak rewards the 4,000th recycler! 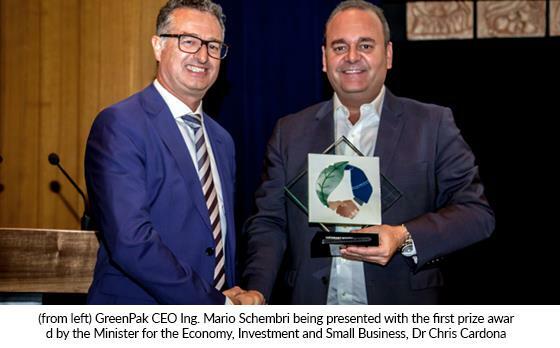 GreenPak is promoting the concept that it is the industry itself that should take up recycling, and not let recycling be a burden on Government or local authorities. 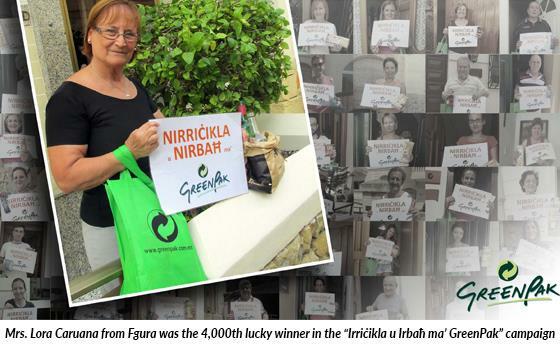 GreenPak’s ‘Nirricikla ghall-Istrina’ again beats its own record! 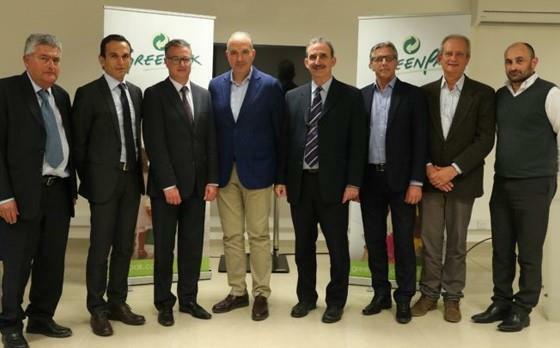 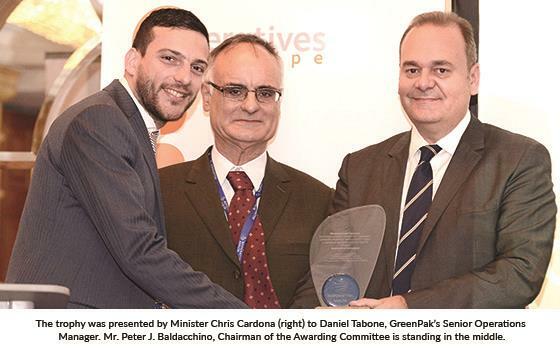 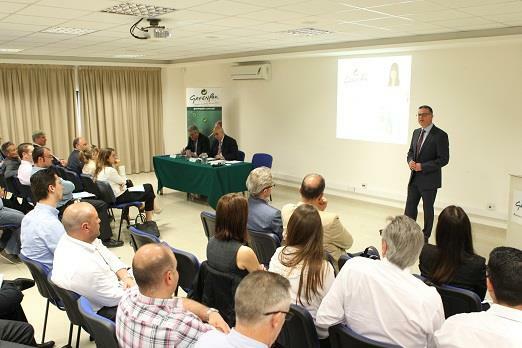 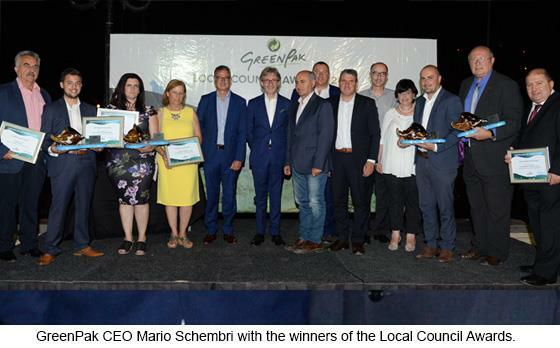 This summer GreenPak and Avantech Ltd got together to offer the initiative "Promoting Recycling"
The Local Councils of Luqa, Attard, Ghaxaq, Kalkara, San Gwann and Xaghra, Gozo were officially recognised as winners of the recycling awards during the 2015 Annual GreenPak Local Council Awards organised by GreenPak Cooperative Society.